Often when I find myself visiting a castle I think about what life must have been like for the people who lived there and… Well, what I would do if I had a castle of my own. How I would decorate it, what purpose would parts of it have, what types of events and parties I would organise and for whom. It may be a pretty childish way of observing things, but without it, castles for me would only be huge buildings filled with dusty rooms. This way, they turn out to be much more fun. 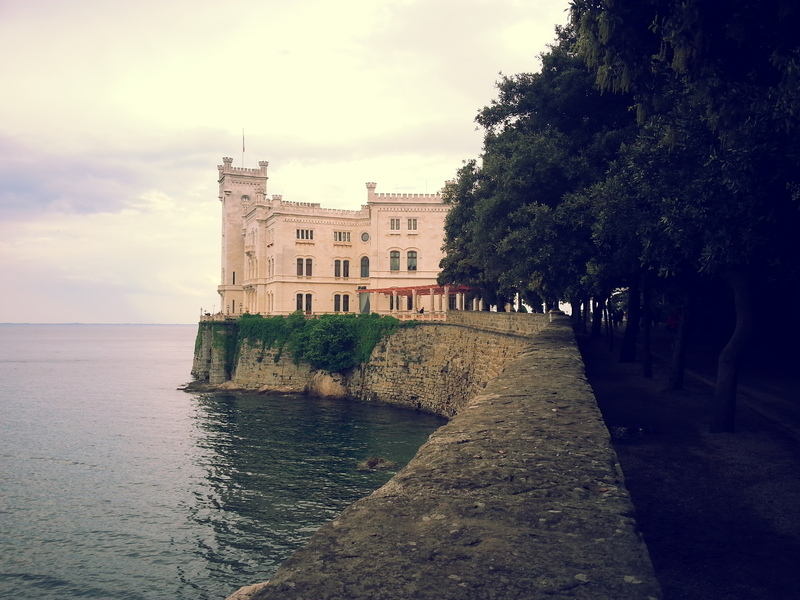 Last year, my boyfriend and I visited Miramare Castle in Trieste. 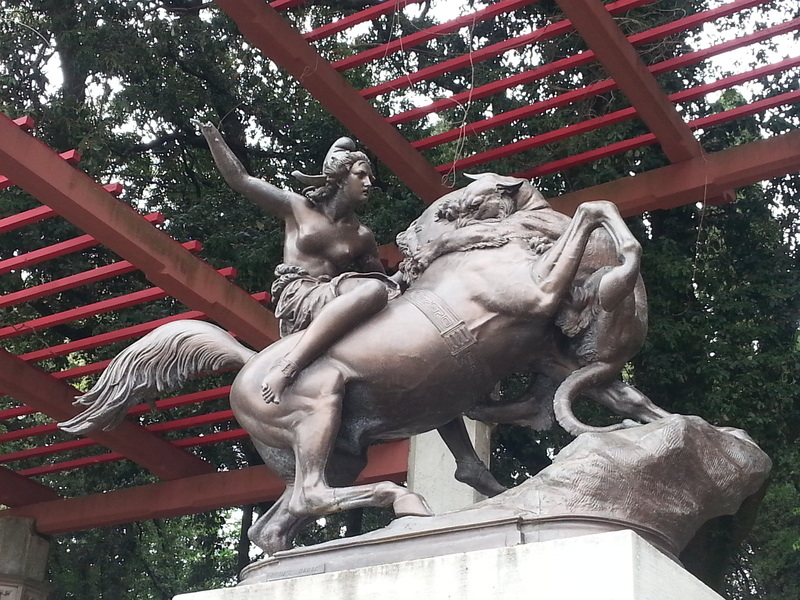 It was a pretty spontaneous decision as we were just looking for a nice place to spend a day and did not properly prepare for the visit at all. I didn’t even take my camera! 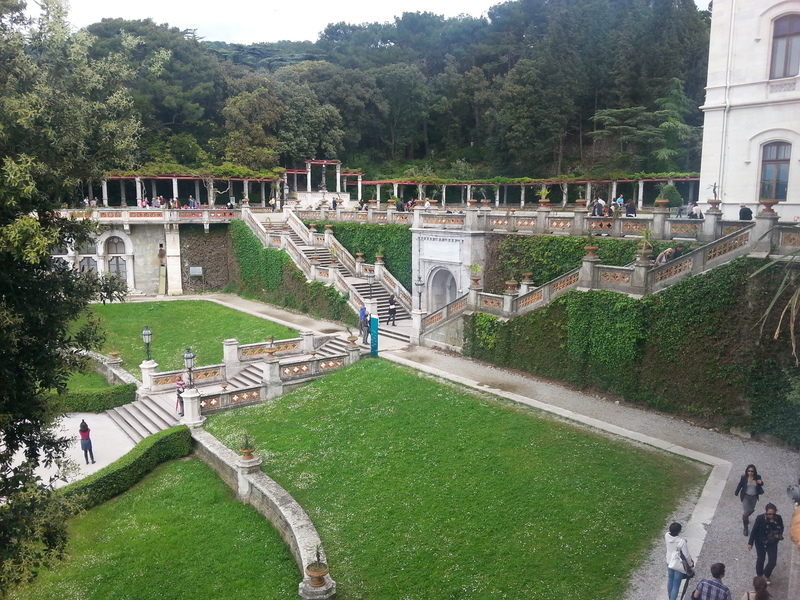 It turned out to be a great idea because we really spent a few exciting hours in the Miramare complex, admiring the architecture, the landscape and the views, learning about the purpose of the castle and imagining what life there would be like. 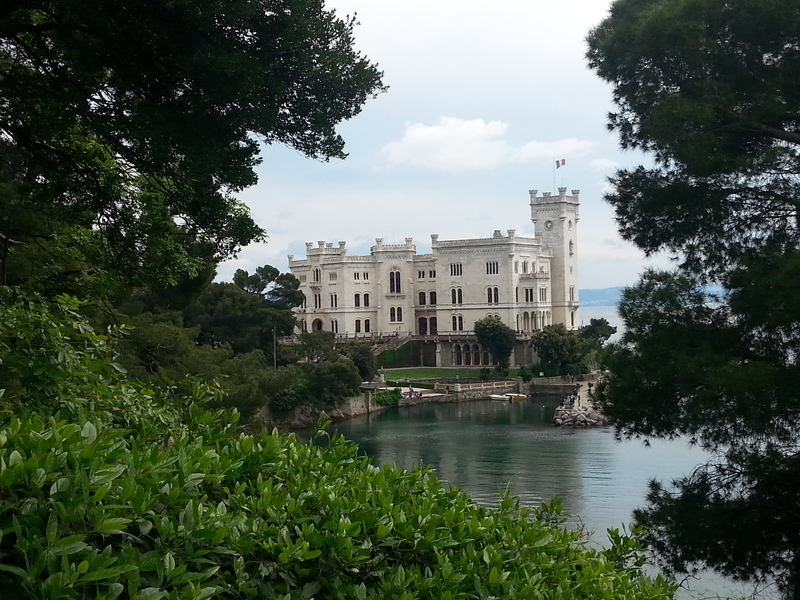 Miramare was built in the second half of the 19th century for Austrian Archduke Ferdinang Maximillian (Franz Joseph’s younger brother) and his wife, Charlotte of Belgium. 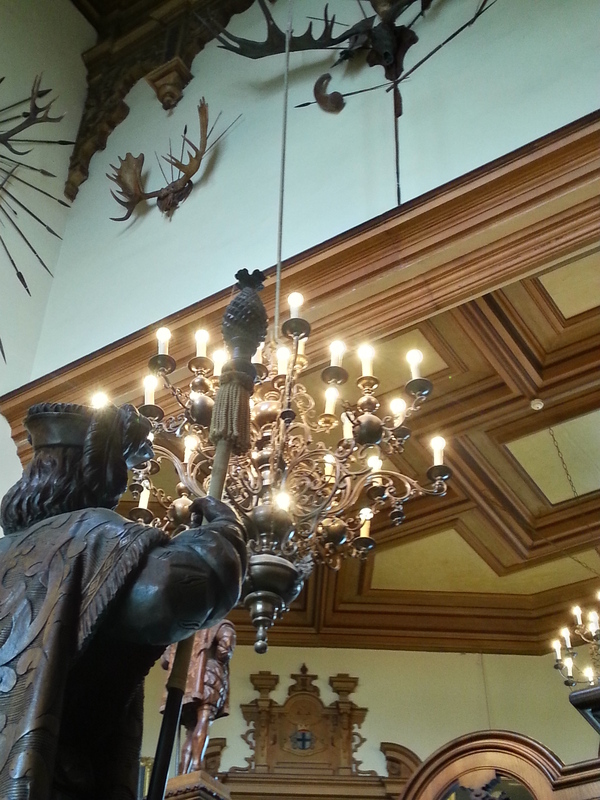 The designer who developed plans for the build of the castle was Carl Junker, Austrian engineer and architect. The Austrian Archduke was interested in exploring the world, which is why he decided to go on a cruise toward the Near East when he was only 18 years old. His love for travel and the ocean didn’t wane. 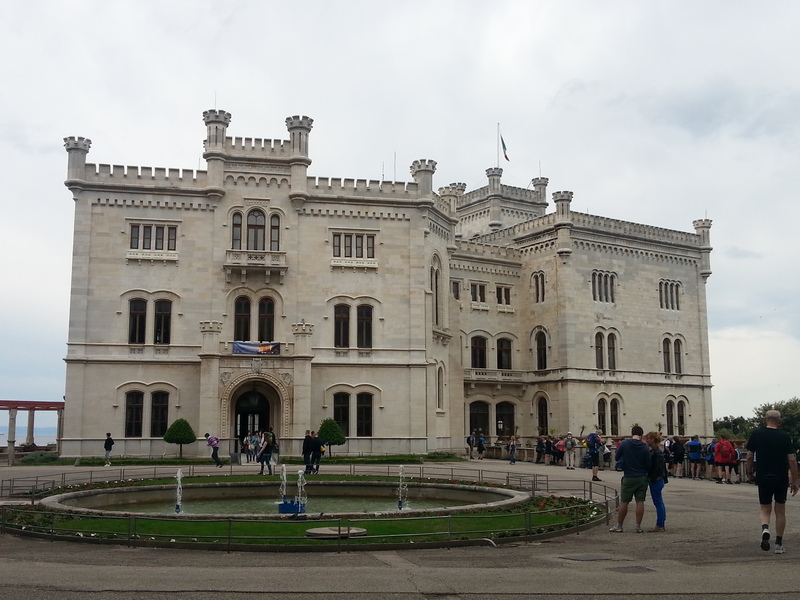 After becoming the Commander in Chief of the Imperial Navy in 1854, he moved to Trieste and had a home build close to the sea that he loved so much, surrounded by a grand park. 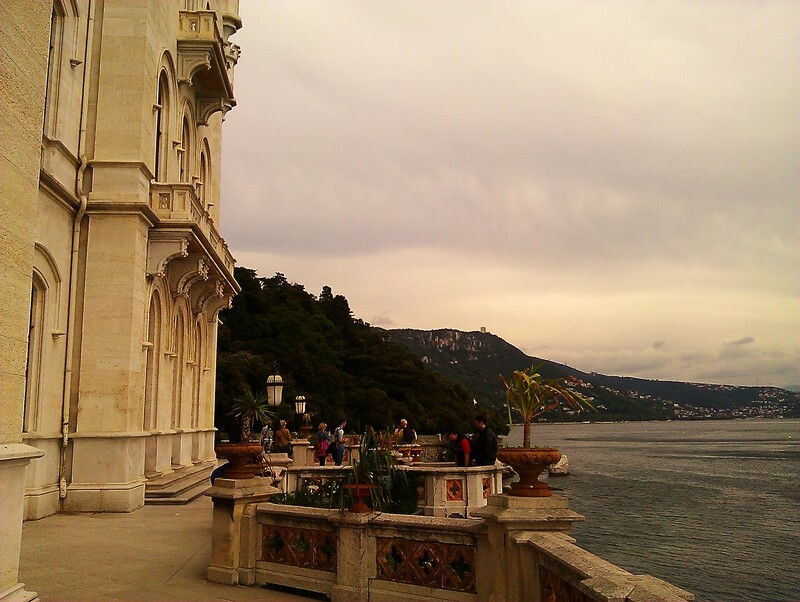 According to tradition, the archduke chose the location in the Gulf of Trieste because that was where he took shelter after being caught in a sudden storm. 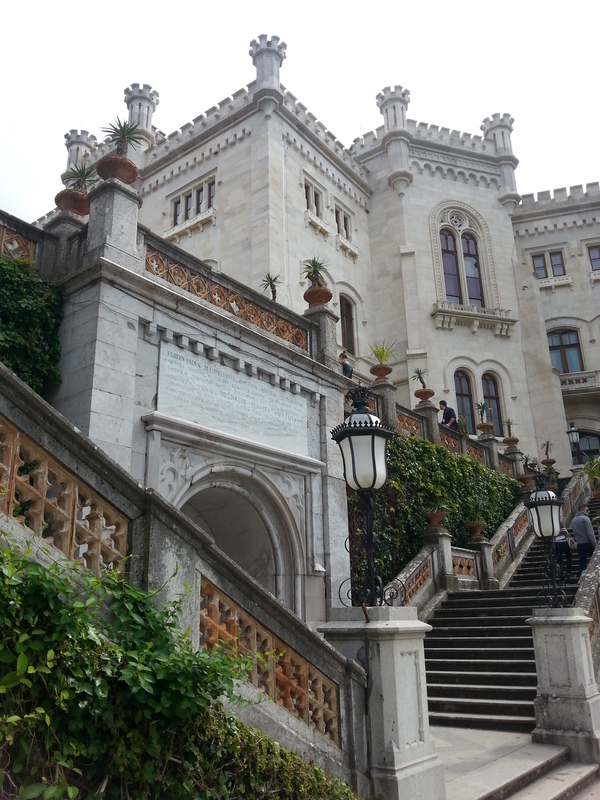 Miramare Castle is very eclectic, reflecting architectural styles of continental, Austrian and Germanic tradition as well as those more typical for the Adriatic region, spiced up with exotic motifs from the Orient. 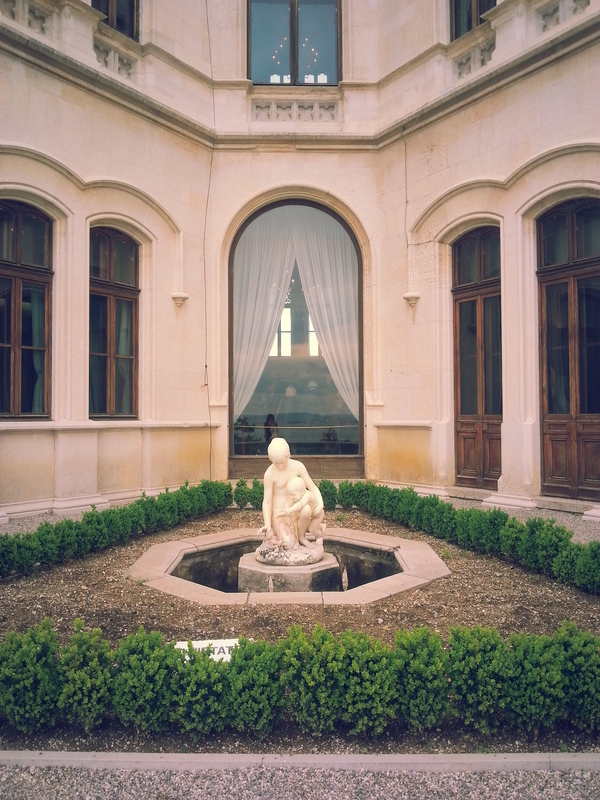 While I am usually not impressed with interiors of castles and consider them stuffy and dusty, Miramare was unlike anything I expected. It has more of a feel of a (pretty grandiose) hunting lodge then an elegant castle, which makes it that much more interesting and reflects the wish of the Maximillian who wanted the castle to feel like a family home. Wood is the prevailing element in the interior, and can be seen everywhere – from beautiful stairwells to ornately decorated cabinets. The strange feeling occurs when you point your view from the wooden interior onto the views seen from the large windows: spectacular scenes of the Adriatic Sea and the blue sky scattered with white, loud, curious seagulls. 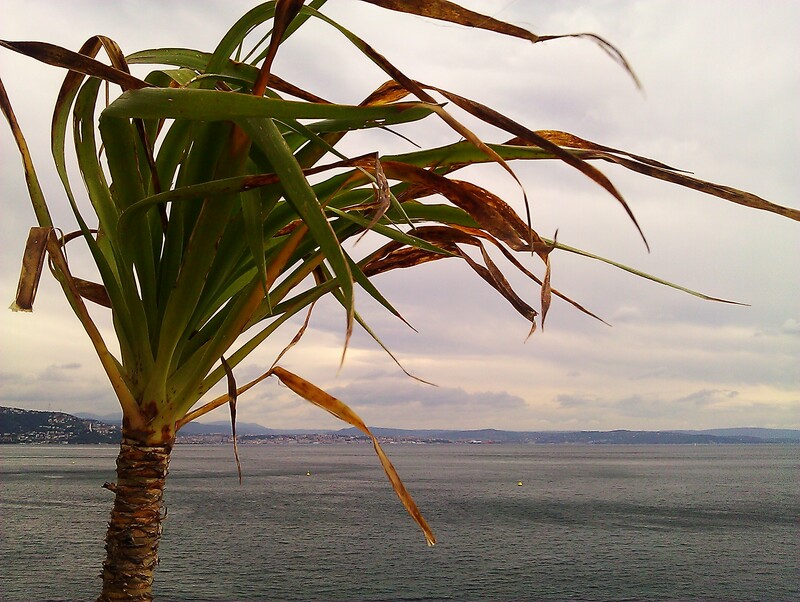 If I lived in Miramare, I would spend every possible moment outside, on the balcony or the terrace, soaking up the view, feeling the gentle breeze, enjoying the smell of the sea. 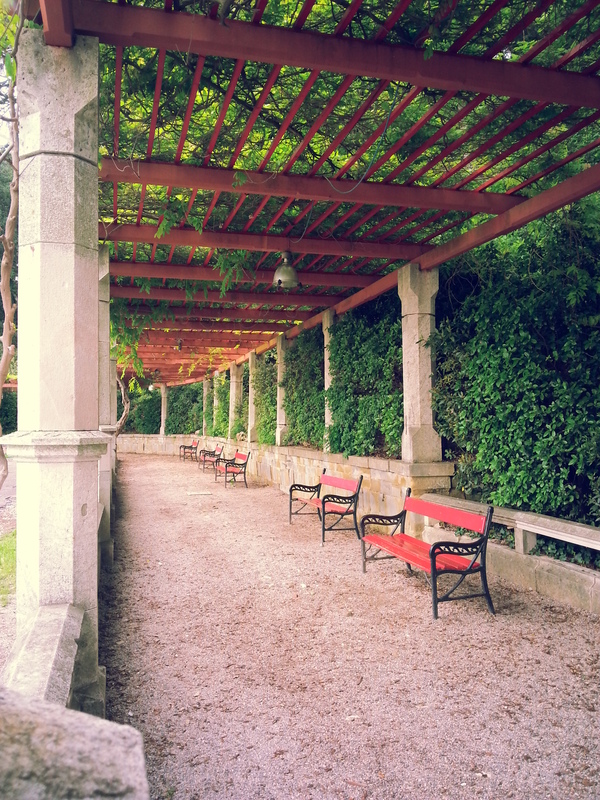 When I would get tired of the looking into the blue, I would go and get lost in the vast gardens of the castle. 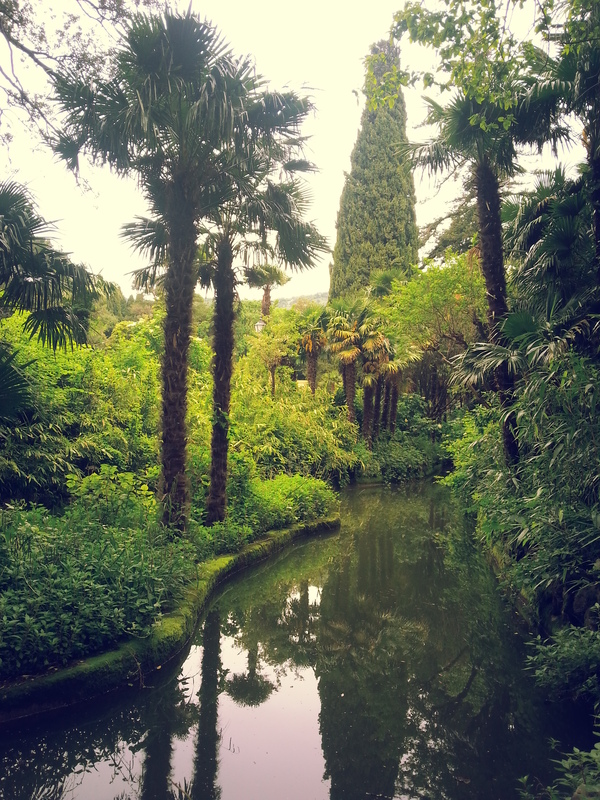 They are filled with hidden coves and charming little areas, garden sculptures, bridges, exotic plants and wonderful terraces offering views of the sea, so that you don’t forget where you are. 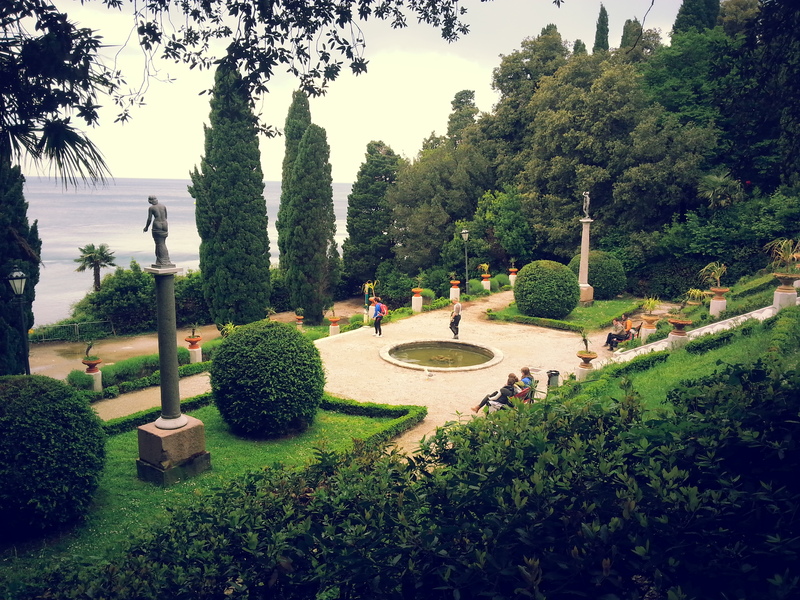 The gardens of Miramare are romantic as well as exciting and you can roam around and explore them for hours. 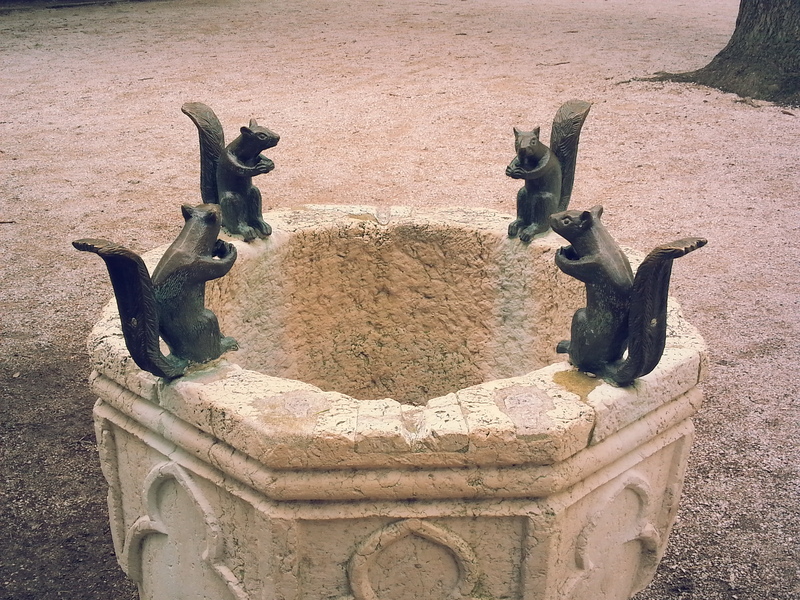 This is what we did, of course, enjoying every inch of the wonderful property.